Balance refers to controlling one's body in space by keeping weight evenly distributed. During a golf swing it is important for a player to remain steady to avoid spraying the ball and hitting off center shots. 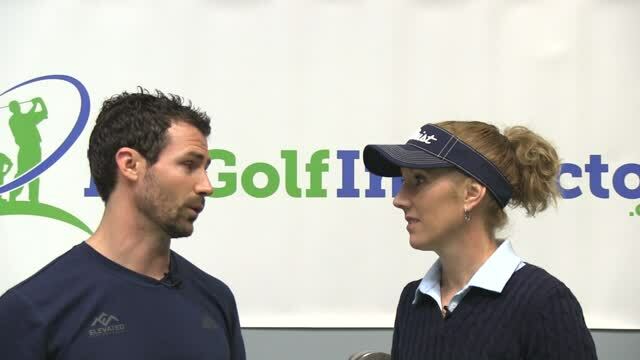 Because the sweet spot on the golf club is so small and the ball is equally small, golf is a sport that requires tremendous balance to achieve accuracy. 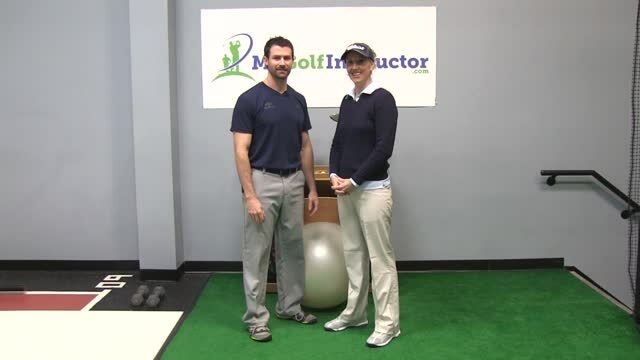 5 Things Every Golf Fitness Program Must Have Learn the 5 keys of establishing an effective golf fitness program. 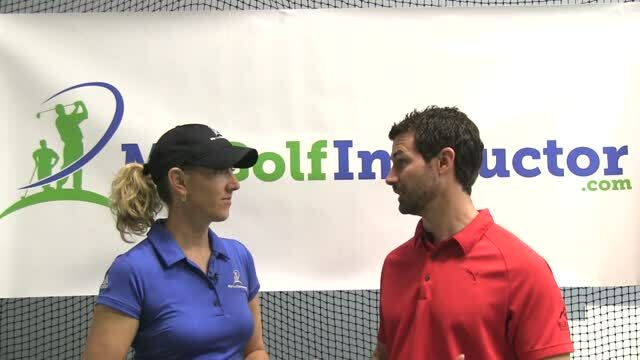 Curing a Shank Understand what causes a shank shot, so you can prevent or cure them. 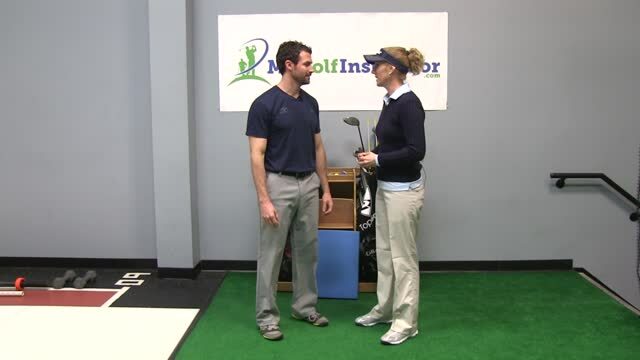 Posture Learn how to build proper posture in your golf stance and how to maintain it throughout your swing. For senior golfers, the most important part of fitness is to pay close attention to is flexibility. 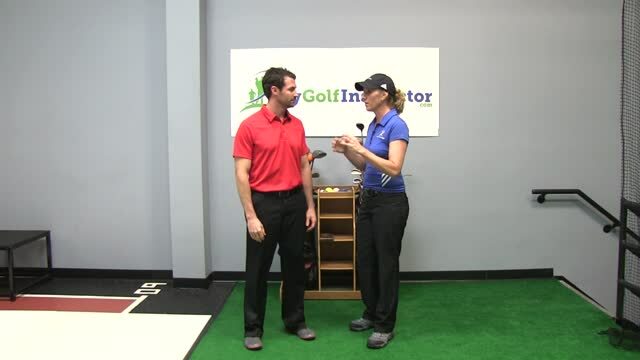 It seems for nearly everyone over the age of 30 that comes across the lesson tee that there are swing flaws in their motion that relate to stiffness. We all lose balance and flexibility as we age, but we can slow and sometimes even reverse the process if we are diligent about doing the proper exercises. Not only that, but they make us feel better too. 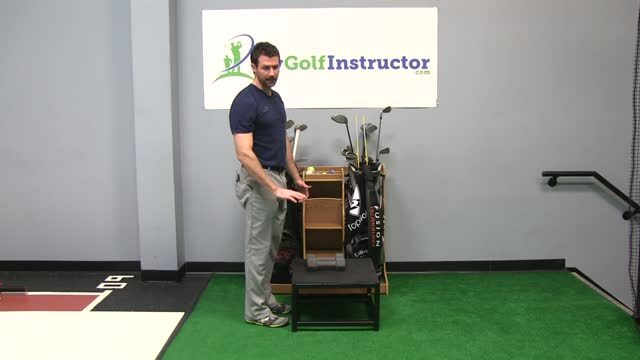 Loss of balance and flexibility are leading causes of many swing faults from changes in posture, to lack of coil, to pushing or blocking as we fall off center. 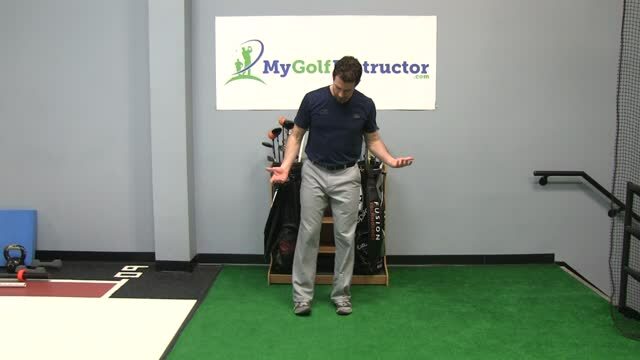 If you are shanking, wiggle your toes when you set up to make sure you are not leaning in towards the balls of your feet. 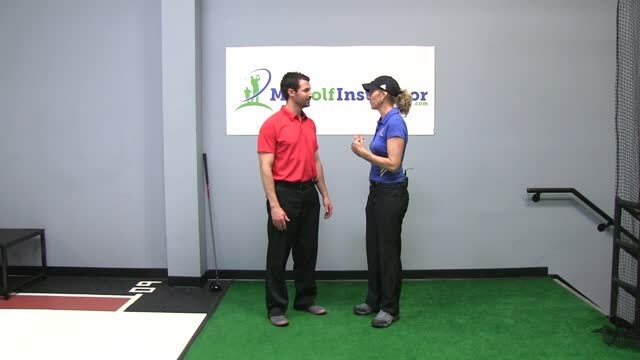 Getting your weight onto your toes moves you forward and increases your chances of hitting the hosel, which is the cause of a shank. If you can wiggle your toes inside your shoes that means your weight is centered on your feet where it is supposed to be. 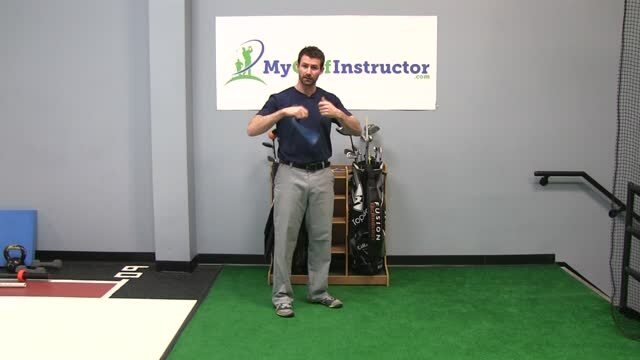 Focus on staying centered throughout the entire swing as it's easy to start one place and end up in another. 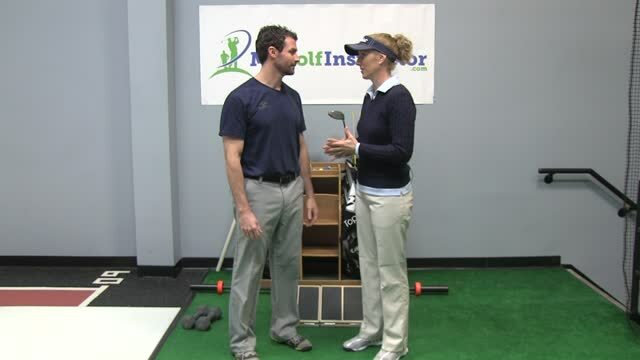 Make sure that your balance stays in the center of your feet from address all the way through to the end of your swing. 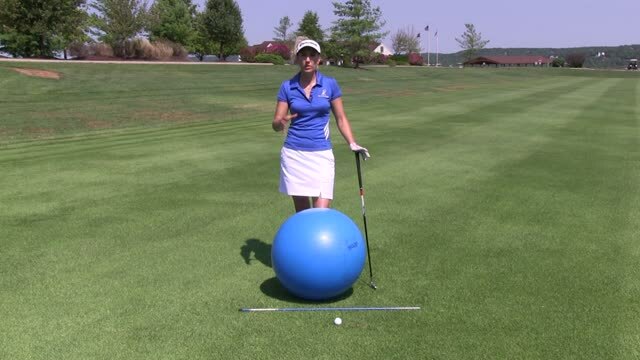 If you set up on the balls of your feet you will most likely fall forward and into the ball during the swing. This can cause pushed shots and even shanks. If you stay too far back on your heels you can have swing errors such as topping the ball. When you stand, you naturally stand in balance which is with your weight in your arches. 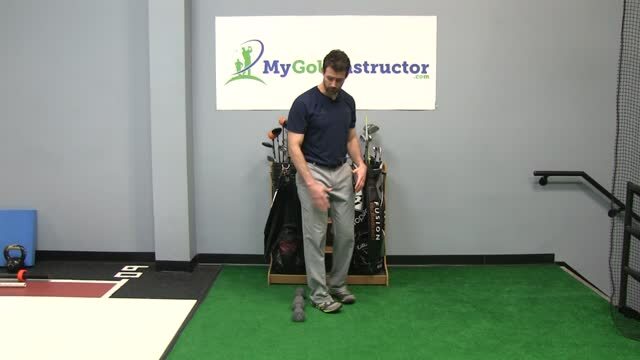 Make it the same for your golf swing and keep your weight in the center of your feet. 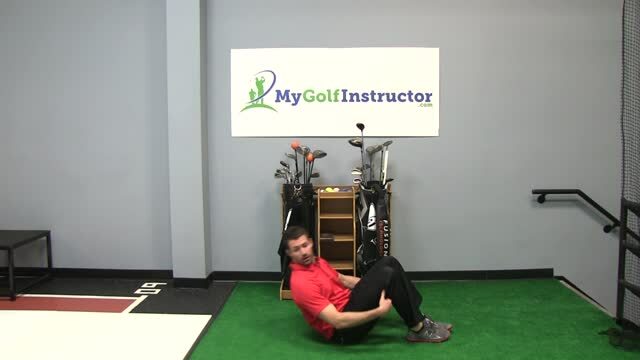 While most golf fitness articles talk about the importance of flexibility and strength, two important factors are often left out. 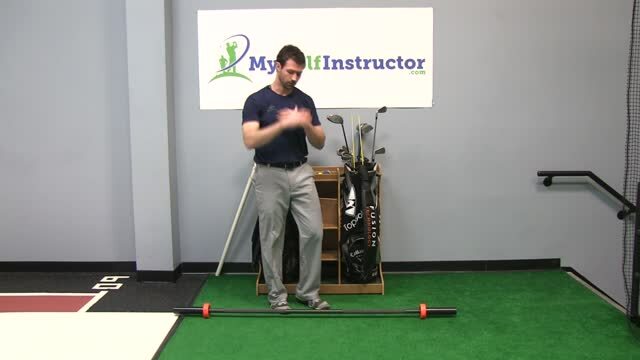 The ability to stabilize yourself throughout the swing and maintain balance throughout the swing are both necessary for maintaining proper positions. I always tell me students to evaluate their balance first when they miss a shot. If they waver just a bit front to back or side to side, it becomes very difficult to hit the sweet spot which is just about the size of your thumbprint. So when you are deciding on a work out routine please be sure to include exercises that will help you increase your balance and stability.